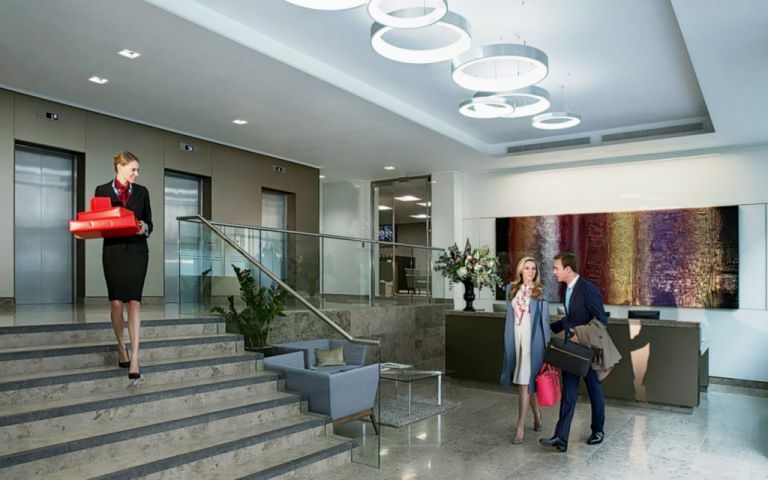 Located in the Guildhall Conservation Area in the City of London, these Grade A serviced offices are in the centre of the banking district. Arranged over six floors, these unbranded offices range in size from just two desks, all the way up to fifty. Every office comes fully furnished, has superfast broadband and the latest telephone handsets. There are six meeting rooms, video conferencing, lift, bicycle storage, showers and kitchen facilities. Clients will also benefit from a customer lounge, breakout spaces and a business lounge with coffee bar and table service. Due to it's close proximity to the City's famous Guildhall, Gresham Street is situated in a prominent position in London's banking heartland. A a superb City location, directly opposite the historic Guildhall and in close proximity to retail and restaurants in the Cheapside area. Bank and Moorgate stations are within walking distance. Easy Offices Where is the nearest public gym to Gresham Street? Easy Offices Where is the nearest coffee shop to Gresham Street? Easy Offices Where is the nearest place to get lunch near Gresham Street? Easy Offices Where is the nearest car park to Gresham Street?